In some cases, you need two folders in your PC to be synchronized to each other, example synchronize data between folders in your dropbox to local PC in order to save your time in copy it back or some other cases. 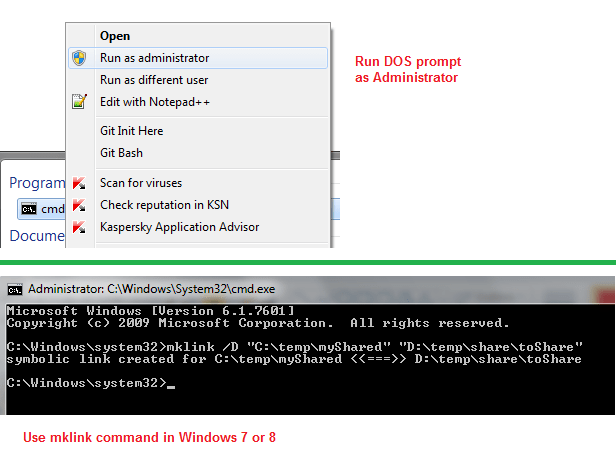 The solution need to use Windows command from DOS Prompt. Make sure that you have backup all of your data in drive C: to drive D: in order to synchronize back from drive D: as original source. 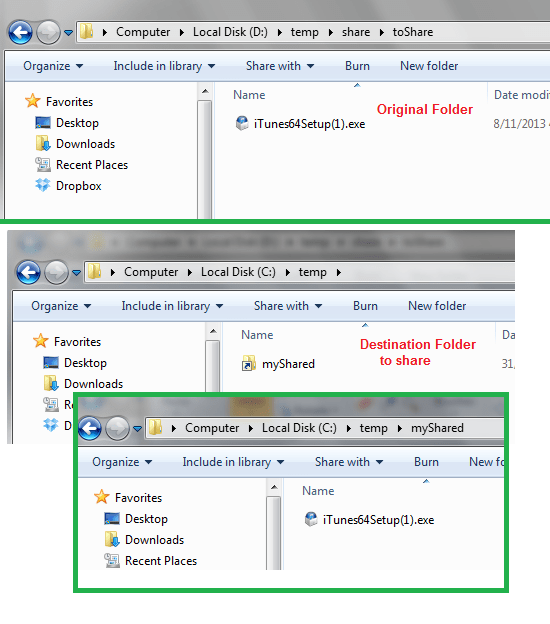 Now both folders are linked to each other, if drop a file to one folder, another one also has it and the same for delete or update. Simply by delete the target destination folder and not the source folder. One of my solution, if anymore, please share in comment. You will get your Pidgin profile sync. across any machine you by above simple solution. You can do same thing for other cases such as on Firefox or Thunderbird profile. Please share your use case.